Release: May 5, 2018. For immediate publication. KYKLO ENTERS THE NORTH AMERICAN MARKET BY ATTENDING ASSOCIATION FOR HIGH TECH DISTRIBUTION (AHTD) MEETING AT CORONADO ISLAND CALIFORNIA. 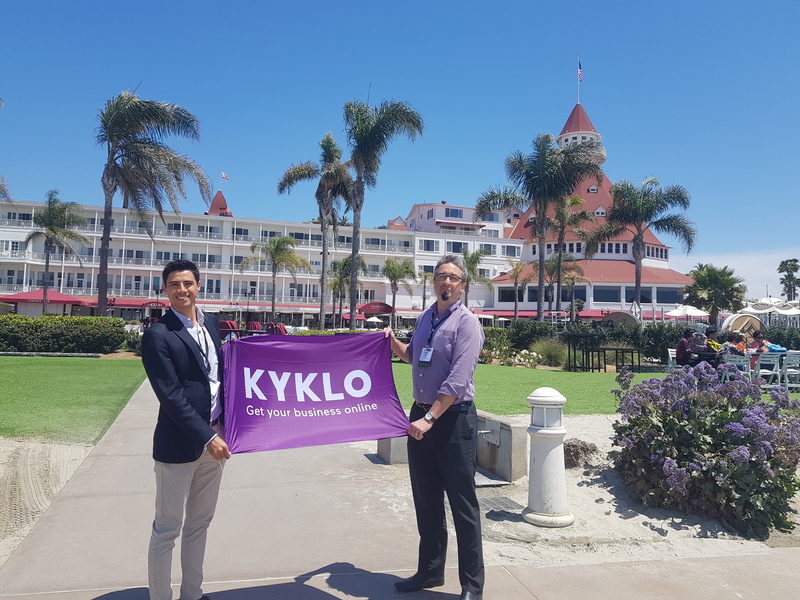 CORONADO, California — KYKLO, a company dedicated to bringing distributors of automation, electrical and mechanical products to the world of full digitalization, officially launched their North American presence by participating in the Spring AHTD Conference at The Hotel Del Coronado. Founded by electrical and automation industry veterans, Remi Ducrocq (CEO) and Fabien Legouic (CTO) and based in Bangkok, Thailand, KYKLO provides not only an online experience for distributor customers but a full digital suite of services which includes product content, search engine optimization (SEO), suggested add-on products and an application which enables a seller to assist customers in the selection of complex electrical and automation products. KYKLO’s Asian customers have seen fast success from the company’s approach, “When we pitch distributors on why they should digitize their sales operations, it is first about how you get your existing customers online. So you shift your business from offline to online and by doing so you’ll get better satisfaction and you’ll be able to saturate your customer base.” Ducrocq said, pointing out that the service has helped some distributors add 20 percent more sales from existing customers. KYKLO (www.kyklo-usa.com) was founded by two former Schneider Electric employees in 2015. Based in the heart of downtown Bangkok, the company currently employs over 35 in-house engineers, the majority of whom brings backgrounds from the electrical and automation industry. KYKLO products have been applied to dozens of distributors in Asia and the company has been named a Global Partner by Schneider Electric to provide distributors throughout the world with a best-in-class system. KYKLO was recently recognized and featured in an article by TechCrunch, the magazine devoted to breaking news in the tech industry. AHTD (The Association for High Tech Distribution) is comprised of the leading distributors, automation solution providers and manufacturers of technology-based equipment used in manufacturing and process controls. The group has enjoyed a dynamic 30-plus year history of providing a forum for improving productivity within the automation and process control industry.